For the third week in a row Tony Stewart was involved in a Sprint Car wreck racing in his “off time” and doing what he loves. This time his luck ran out while leading on Monday night at Southern Iowa Speedway when a lap car crashed in front of Smoke and collected his car and two others with 5 laps to go. This time Tony didn’t emerge from his mangled wreckage okay as he had done so many times before, this time he suffered breaks in his lower right leg (tibia and fibula.) He was transported to a local hospital where he had surgery. He’ll of course miss Watkins Glen this weekend, and most likely many races beyond that. 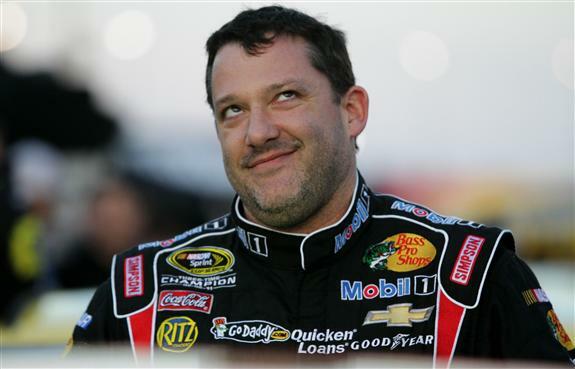 We wish Tony Stewart a quick recovery.